From March 13-22, 1993, a conference of twenty-two Western Buddhist teachers was held in Dharamsala, India. Four days of meetings were held with His Holiness the Dalai Lama and three other Tibetan lamas (Drikung Chetsang Rinpoche, Panchen Otrul Rinpoche and Amchok Rinpoche) to discuss problematic issues in bringing Buddhism to the West. The teachers were from the various Tibetan, Zen and Theravadin traditions. The topics discussed with His Holiness were: taking teachers as gurus without proper examination; idealizing gurus unrealistically; ethical conduct of Buddhist teachers; the relation between true realizations and ethical behavior; giving tantric initiations without proper examination of the students; the training of Western monks and nuns; differentiating the essence of Buddhism from its Asian cultural aspects; the role of women in Buddhism; translation issues; ritual, titles and robes; integration with techniques from psychotherapy; and overcoming sectarianism. During talks held before and after the meetings with His Holiness, the participants discussed dharma teacher training; right livelihood for Buddhist teachers and centers; and treating students who have been harmed by abusive or charlatan teachers, or who have manifested psychological disturbances during meditation retreats. A summary booklet and a booklength transcription of the conference are being prepared. Video and audio cassettes of the sessions with His Holiness are available from Meridian Trust, 330 Harrow Road, London W9 2HP, England. At the conclusion of the conference, the participants decided to form the Network of Western Buddhist Teachers and issued an “Open Letter” (see below) which was endorsed by His Holiness. As membership in the Network increases, it is hoped that further conferences will be held. 1. Our first responsibility as Buddhists is to work towards creating a better world for all forms of life. The promotion of Buddhism as a religion is a secondary concern. Kindness and compassion, the furthering of peace and harmony, as well as tolerance and respect for other religions, should be the three guiding principles of our actions. 2. In the West, where so many different Buddhist traditions exist side by side, one needs to be constantly on one’s guard against the danger of sectarianism. Such a divisive attitude is often the result of failing to understand or appreciate anything outside one’s own tradition. Teachers from all schools would therefore benefit greatly from studying and gaining some practical experience of the teachings of other traditions. 3. Teachers should also be open to beneficial influences from secular and other religious traditions. For example, the insights and techniques of contemporary psychotherapy can often be of great value in reducing suffering experienced by students. At the same time, efforts to develop psychologically oriented practices from within the existing Buddhist traditions should be encouraged. 4. An individual’s position as a teacher arises in dependence on the request of his or her students, not simply on being appointed as such by a higher authority. Great care must therefore be exercised by the student in selecting an appropriate teacher. Sufficient time must be given to making this choice, which should be based on personal investigation, reason and experience. Students should be warned against the dangers of falling prey to charisma, charlatanism or exoticism. 5. Particular concern was expressed about unethical conduct among teachers. In recent years both Asian and Western teachers have been involved in scandals concerning sexual misconduct with their students, abuse of alcohol and drugs, misappropriations of funds, and misuse of power. This has resulted in widespread damage both to the Buddhist community and the individuals involved. Each student must be encouraged to take responsible measures to confront teachers with unethical aspects of their conduct. If the teacher shows no sign of reform, students should not hesitate to publicize any unethical behavior of which there is irrefutable evidence. This should be done irrespective of other beneficial aspects of his or her work and of one’s spiritual commitment to that teacher. It should also be made clear in any publicity that such conduct is not in conformity with Buddhist teachings. No matter what level of spiritual attainment a teacher has, or claims to have reached, no person can stand above the norms of ethical conduct. In order for the Buddhadharma not to be brought into disrepute and to avoid harm to students and teachers, it is necessary that all teachers at least live by the five lay precepts. In cases where ethical standards have been infringed, compassion and care should be shown towards both teacher and student. 6. Just as the Dharma has adapted itself to many different cultures throughout its history in Asia, so it is bound to be transformed according to conditions in the West. 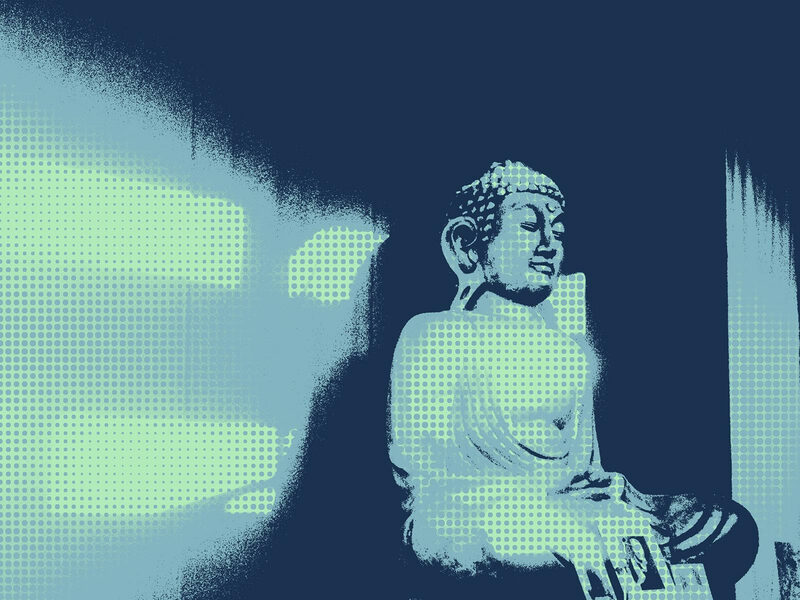 Although the principles of the Dharma are timeless, we need to exercise careful discrimination in distinguishing between essential teachings and cultural trappings. However, confusion may arise due to various reasons. There may be a conflict in loyalty between commitment to one’s Asian teachers and responsibility to one’s Western students. Likewise, one may encounter disagreement about the respective value of monastic and lay practice. Furthermore, we affirm the need for equality between the sexes in all aspects of Buddhist theory and practice. The Western teachers were encouraged by His Holiness to take greater responsibility in creatively resolving the issues that were raised. For many, His Holiness' advice served as a profound confirmation of their own feelings, concerns and actions. In addition to being able to discuss issues frankly with His Holiness, the conference served as a valuable forum for teachers from different traditions to exchange views. We are already planning future meetings with His Holiness and will invite other colleagues who were not present in Dharamsala to participate in the ongoing process. His Holiness intends to invite more heads of different Asian Buddhist traditions to attend future meetings. The proceedings of the meeting will be disseminated to the wider public by means of articles, a report, a book, as well as audio and video recordings. Signed: Fred von Allmen, Ven. Ajahn Amaro, Ven. Olande Ananda, Martine Batchelor, Stephen Batchelor, Alex Berzin, Ven. Thubten Chodron (Cherry Greene), Lama Drupgyu (Tony Chapman), Lopon Claude d'Estree, Edie Irwin, Junpo Sensei (Denis Kelly), Brendan Lee Kennedy, Bodhin Kjolhede Sensei, Jack Kornfield, Dharmachari Kulananda, Jakusho Bill Kwong Roshi, Lama Namgyal (Daniel Boschero), Ven. Tenzin Palmo, Ven. Thubten Pende (James Dougherty), Lama Surya Das (Jeffrey Miller), Robert Thurman, Sylvia Wetzel. Header image: © TP. Buddha statue, Bodhicharya Berlin, 2014.